Entering the final stretch of free games on PlayStation Mobile this week, we have the fifth game, Beats Trellis. 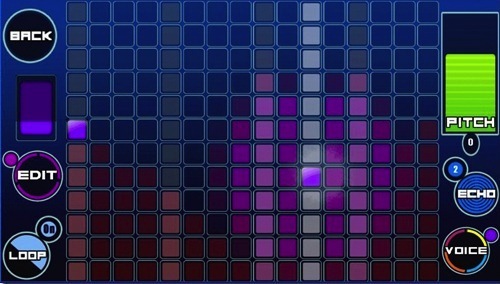 Beats Trellis is more of an app than a game, but it’s still fun. The main hub, where you can see, play, pause or adjust the volume of all the beats you’ve put into your current song. In Beats Trellis, you make your own music. Using a mix of Voices, Drums and Breaks, you can create beats that loop (or not) and layer them over other beats you’ve made to make beautiful (or terrible) music. Each of these beats contains different kits. For example, the Drums have a Dance Kit, an Electro Kit and a SID Drums Kit. The pitch and tempo can also be adjusted, as well as the individual volumes of all the beats comprising your song, among other things. So, while Beats Trellis may not be a game, it’s definitely a fun app for when you’re on-the-go and don’t have time for an intense gaming session. The edit or creation screen, where you can design a beat. This particular beat is a Voice. 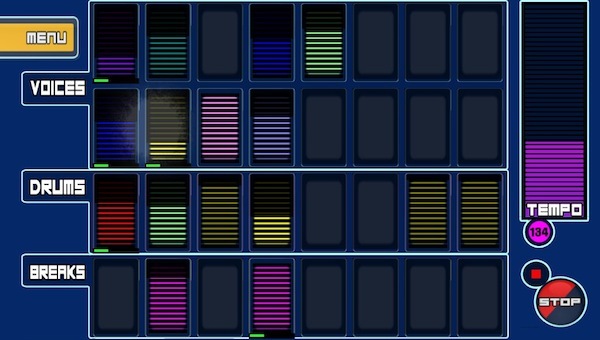 Pick up Beats Trellis for free this week on PlayStation Mobile for the PlayStation Vita and other compatible PlayStation Mobile devices. Not sure how to access the PlayStation Mobile store? Click here. beats trellisPlayStation MobileSCEASCEESCEISony Computer EntertainmentSony Computer Entertainment AmericaSony Computer Entertainment EuropeSony Computer Entertainment Inc.